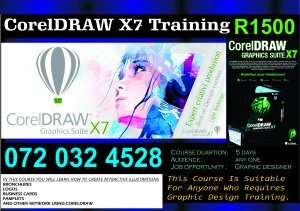 Become A Professional Graphic Designer Today By Obtaining Skills From Aprofessional Coreldraw X7 Graphic Suit Designer. Do You Want To Learn Corel Draw Graphics Suite? Or Planning To Start Your Own Printing Shop Business Or Vinyl Wall Art Business? Behind Your Ideas And Make A Bold Impact Across Any Media. I Will Teach You How To Create All-Vector Illustration, Page Layout, Designing Of Business Cards, Flyers, Posters, Bill Boards, Magazines, Newsletters, Or Any Form Of Adverts Using One Tightly Integrated Suite Graphic Design Software That Let You Do More Than You Thought Possible!